On November 23rd our 26th EVM was hosted by EY in their Stuttgart headquarters. It was the first time for the EVM in Stuttgart and we were honoured to be in one of the core regional areas of German industry. 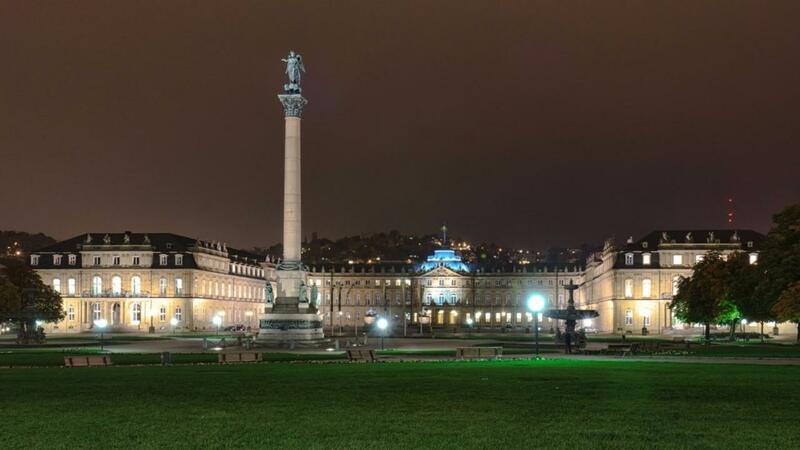 The area around Stuttgart has a very high density of very successful SMEs and also major automotive players, just to mention Daimler and Porsche, and their suppliers. As in other areas in Europe EY is very involved showing the young companies what benefits the cooperation with a global service-provider can have as the Start-Ups build their businesses and how established companies can benefit from the innovative force of Start-Ups! If you have questions regarding EY’s outstanding services please contact Marco Koch +49 (711) 9881 19298 or Dr. Thomas Lütkemeier +49 621 4208 25060 for detailed information – they are looking forward to hearing from you! Following the first company session was presented and moderated by Andreas Ganswindt from Evolvice: Evolvice Group Evolvice GmbH is German owned and managed, with 70+ employees available for application development and software operations projects. 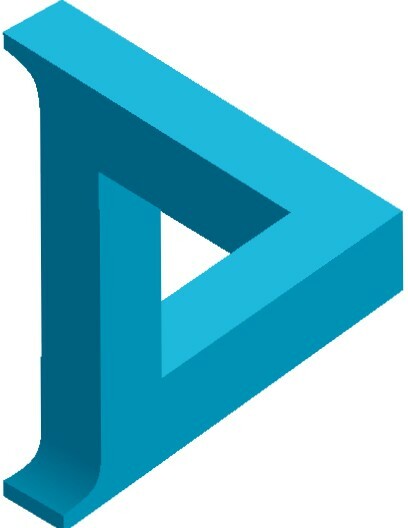 Evolvice develops custom software as well as search and recruit individual software engineers and teams for their clients. Andreas had the hard job to be the first disciplinarian for four companies in his session and he managed it well: the Start-Ups all had a good chance to present their cases and later answer questions from the audience. Thanks Andreas – job well done! The revolutionary Walkerchair is a mixture of a robot and a wheelchair. It's got legs and eyes and can overcome obstacles of any kind. It is the disruptive wheelchair 3.0 and freedom for millions of wheel-chair users worldwide. Real barrier-freedom and self-determined share in social and working life. The Walkerchair extents the wheelchair by the missing third dimension and thereby tears down so far unsurmountable barriers. Wheelchair users now can self-dependently overcome staircases or railway sleeper of any kind and get in cars, on busses or trains on their own. Money is needed to build the prototype, for further R&D and the production and sales efforts to follow. Taxbutler is a software solution, which is installed as a mobile application on the customer's smartphone. With this app, the customer can create a tax declaration himself and with very little effort: In the current year, the customer uses the app and photographed documents that are recognized and arranged by the software (OCR). An intelligent algorithm generates the tax declaration from the data and documents, which is recognized and preferred by the tax authorities. The tax declaration is transferred from the app to the tax office, an additional Elster registration is not necessary. Dear Reality concentrates on the audio aspect of virtual and augmented reality and has developed a platform for audio developers and engineers to create sounds “not only in your head” as Christian Sander said, but from where they are coming! The company has already reputable partners and has been endorsed by one of the most prestigious platforms for audio as excellent! Their best compliment came from a blind developer who stated that their technology created the best sound experience he had had so far! Ideatarmac is about saving time and money, but concentrating on the technical issues ecommerce- and online-businesses often face: sites react slow or not at all, the basket disappears, the checkout takes too long – all resulting in potential customers losing interest and leaving the sites before completing the purchase: Ideatarmac did a survey with online-platforms with average sales of about 5 Mio EUR a year and found they lose about 450 TEU in people leaving their sites. The company offers a service to reduce that to 90 TEU a year with a highly sophisticated and automated process! Next in line was Dr. Winfried Richter from Pioniergeist: His mission is to support entrepreneurship and Start-Up culture in the fields of business, education, society and culture. Pioniergeist joins corporates with Start-Ups. Why? Because the combination of experience and resources on the one hand and agility and speed on the other can build something truly unique. Pioniergeist is driven to unite the best of both worlds; Innovative business models and cultural mobilization are the outcome! Horst was joined by Nicola Büsse from MAHLE International GmbH, Johannes Ellenberg from etventure, Adrian Thoma, Bundesverband Deutsche Start-Ups, Peter E. Braun, a business angel active in the EBAN network, Chris H. Leeb from 42Angelitos and Stefan Bley from EY. It was a very interesting and informative discussion opened by Nicole explaining how her small team is integrating the cooperation with Start-Ups in MAHLE’s production process and how sensitive this has to be done since a large international corporation is never able to for example deliver a “minimal viable product – MVP” when entering the market, products have to be perfect since too much is depending on it. She emphasized how important it is to have the total backing of the CEO in starting a process like that. This also was strongly supported by all other panellists viewing the opportunities from their respective angles: Johannes supporting the cooperation and the mutual learning opportunities both sides have in the process, Adrian bringing awareness to Start-Ups how large corporations function and where chances are to seek cooperation, Peter offering his vast experience from the corporate world and his active role as an angel for the mutual benefit of both Start-Ups and corporates, Chris always having the vision in mind that has to drive both sides when discussing cooperation or common product-development and last but not least Stefan with his view of 25 years experience advising large corporates on their business development and implementing new strategies. To summarize: All panellists agreed that the chances of cooperation between Start-Ups and corporates by far outweigh the risks if both sides recognize the needs of the partner: in case of the Start-Up a strong need for independent thinking and acting and in case of the established corporation a strong need for high precision in production processes and product development. Thanks Horst for the moderation of this very lively and interesting panel! Next was Robert Uhlich from Companisto outlining the benefits of “How to scale different Start-Ups with the Crowd”. He showed quite impressive figures from various financing rounds completed at the Companisto platform and the number of over 60.000 active investors on the platform already indicates how the Start-Up can simply gain from the potential marketing effect the crowd offers. Especially when your product is consumer oriented and easy to understand, it could be a way to go well worth it! After lunch – and we noticed how hard it was to call everybody back in since there were so much interaction going on – we welcomed Marius Swart from Coca Cola who explained “The Case for Corporate Venture Arms”. Marius also picked up on the importance of the CEO backing when starting the process and it was interesting that the reason for starting the venture arm at Coca Cola was the demand of customers who today want more than just the delivery of the products! So finding services that could benefit customers is one of the goals of the venture arm and Marius made it clear that is has not been easy finding the right approach and the right strategy but that by now the ventures have been quite successful and are returning nicely. You have to be patient, but it is definitely worth it! CleverShuttle offers low-cost and eco-friendly door-to-door-mobility. We transport customers from A to B - similar to a taxi. The big difference: our IT identifies customers who travel on the same route and matches them in one e-vehicle. The company is currently active in Berlin, Leipzig and Munich. CleverShuttle is the only company with a licence to provide professional ride sharing in Germany. iLocator is a smart city solution provider and they could very descriptively show what benefits cities and their respective organizational and maintenance department could enjoy using iLocators services and being able to save about 30% costs every year! Graphmasters is the world leader in 'Collaborative Routing' ('Social Routing'). Based on research of the Univerity of Standford, the MIT (Massachusetts Institute of Technology) and the University of Cambridge Graphmasters has developed and operates the platform enabling the routing standard of the future today. Graphmasters technology is improving traffic flow by factor 2. In the future of driverless cars it is inevitable to have a central intelligence distributing and coordinating traffic. Based on the most advanced traffic and routing platform technology Graphmasters provides services for specific segments and industries like the automotive industry, the logistics industry, and smart cities. The objective of BEEappliance is to introduce the “Transporter” to an existing market for highly innovative PAVs (personal aerial vehicles) and UAVs (unmanned aerial vehicles) for transportation, air-work and short haul mobility. The initial use as manned transportation and air-work device for various purposes in industrial and public services is the first profitable application, even before autonomous unmanned civil crafts will hit the market. The strategic intent is to create and assign intellectual property to secure a substantial share in the PAV/UAV Market. Technology orientated strategic partners profit before market entry already, promoting their expertise in the fields of technology for autonomous mobility. Thanks Holger Michael Wagner for the sovereign moderation and keeping it within the time frame! After another networking coffee break Rainer Gärtlein from INVEST introduced us to “Investment Grant for Business Angels” provided by the German government. The aim of the program is to improve the access to risk capital for young and innovative companies and thereby their capital base. Therefore the program encourages private investors to buy shares of young and innovative companies. The shares must participate in all business related risks and chances. The investor will receive a grant of 20 % of his total investment if he holds his shares for at least 3 years. This is a right step in the right direction and in connection with other EU programs this is interesting for Angels and Start-Ups. We also noticed that at least two of our participating Start-Ups have already gone through the process and their potential investors could benefit from the program! At its core the PLANERY-Machine can draw CAD automatically based on user input via classic web & app configurators. It is backed up by tools to form a ready-to go solution for digital sales of highly individual products. How do you sell real-estate online? And how do you connect the ideas of your customers. Wardrobes, kitchen or other made-to-fit furniture - how does everything fit into your room? Apply individual, reusable systems on changing areas. What fits, what’s missing and what needs to be manufactured. Terrace, sauna, kennel or bird-stand. Fit the outside to your home. The inventors want to innovate the last meters of the last mile in logistics and the transport of goods at home. They developed a mobile robot for households to accept parcels and transport all kind of goods within the house or apartment. The original idea was sparked by an accident of a team-member which led to him needing and using crutches. While he was at the physiotherapy the parcel service tried to deliver a parcel, did not reach him and getting the parcel later was a hassle with the crutches. In the healthcare sector the robot can transport goods for restricted people. 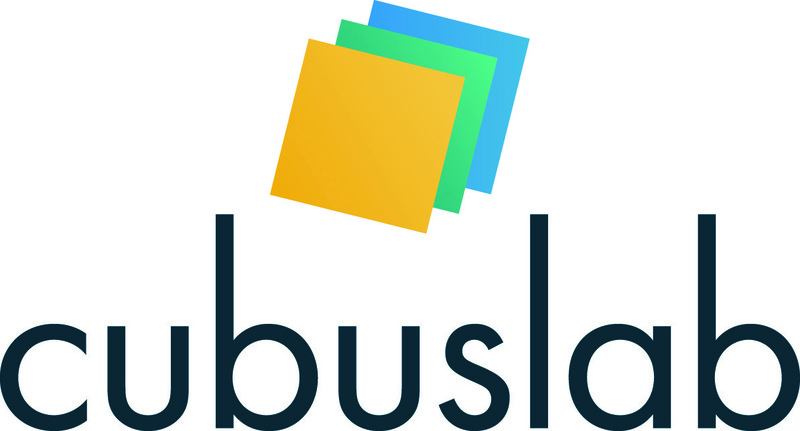 The cubuslab IoT solution connects laboratory devices with a digital interface to a centralized platform. This saves time and costs by providing automated documentation of results and experiments and avoiding manual data transfer errors. Efficiency of all processes in life science industries can be significantly improved, estimated 2h/day per person. The reproducibility and validation is improved which accelerates the time to market for novel drugs and products. The technology for device connectivity is foundation for all kind of applications, e.g. based on device usage data, maintenance, consumable tracking. All companies stayed within their time frame of 5 minutes and did a good job in outlining their business and business models and were eager to answer many questions from the audience! And we were happy to see that the coaching a day earlier had paid off – we strongly recommend it for all future participants because we focus not only on the timing but especially on how to bring your message out as best as possible! And then it was already over! We saw not only very interesting companies and stimulating keynotes and a great panel but noticed that the interaction in the networking breaks was initiated by all sides: investors who wanted more answers after the questions already asked in the sessions, companies actively seeking the contact with investors and services approaching possible partners with their extensive experience and their networks! We met in the lobby of the impressive facilities of EY and let the day fade out with a glass of wine or a local “Tannenzäpfle”-beer still exchanging business cards and ideas! What a fun day! Thanks again to all of you and especially the EY-Team for making the EVM again a very amiable and interactive event and please let us know if you need support and assistance since we at CONTINUA GmbH and as the host of the EVM can help you in developing your business plan or improve your presentation and last but not least introduce you directly to investors. Call us anytime +4930-440386-0 to discuss your options and of course if you need help approaching other participants!